We know who you love! 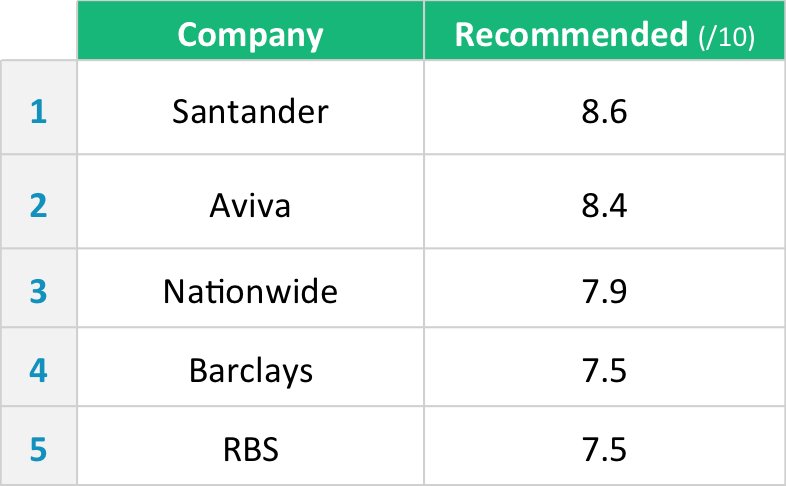 To keep the rankings fair, only brands with 5 or more bank or insurance reviews have been included. We’ll increase this minimum number as we grow. Our mission is to increase trust and transparency in the Financial Services industry; to help make it work better for everybody. You can help us by leaving a review now!